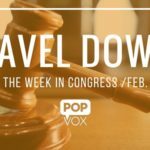 Top Search on POPVOX this week: "firearms"
On Friday afternoon, the House passed the Sportsmen's Heritage and Recreational Enhancement (SHARE) Act (H.R. 2406) by a vote of 242-161. As we noted, the bill combined several smaller bills related to hunting, wildlife, and public lands. The bipartisan Senate Energy bill (S. 2012) has been stalled by Democratic Senators demanding consideration of an aid package for Flint, Michigan. This week, a proposed compromise emerged that would make $100 million available to Flint from the Drinking Water State Revolving Fund (pending approval of state plan), $70 million from the Water Infrastructure Finance and Innovation Act fund, and $50 million for health services, including a health registry, advisory committee, and a childhood lead poisoning prevention program. The Flint proposal would get a vote as an amendment to Rep. Dan Kildee's bill, the Safe Drinking Water Compliance Awareness Act (H.R. 4470), which would require notice to the public if the EPA finds unsafe water levels. This week President Obama signed two bills into law, completing the bill life cycle from legislative branch to executive. Requiring the CBP to more aggressively investigate complaints that companies are evading anti-dumping or countervailing duties on imports by mislabeling or disguising the shipments. The Senate passed the customs and trade enforcement bill 75-20. The bill stalled over back and forth regarding an Internet tax ban. In order to secure the ban on Internet access taxes, Senate Majority Leader Mitch McConnell pledged to bring the Marketplace Fairness Act (S. 698), which would allow any state to require sales tax collection by online out-of-state retailers, to the floor at some point this year. Next up, the Judicial Redress Act. The bill focused on data and privacy protections and was introduced in response to European Court of Justice decision, which found that EU citizens' privacy rights were not sufficiently protected when a U.S. tech company kept data about those citizens on servers within the U.S. Debate centered on Edward Snowden revelations that the NSA was accessing foreigners' personal information in the databases of 9 internet firms, including Facebook and Google. The data transfers had previously been allowed under a "safe harbor" agreement that was invalidated by the court. The bill originated in the House and passed in October. The Senate passed an amended version, so the bill returned to the House to resolve differences before heading to the President's desk. The bill grants citizens of certain countries (as determined by the Department of Justice) the same rights that U.S. citizens have to seek redress in court if their personal information is improperly handled. The bill was once perceived as a "must have" in order to reach a safe harbor agreement before deadline, but a transatlantic data pact was negotiated before the bill's passage. 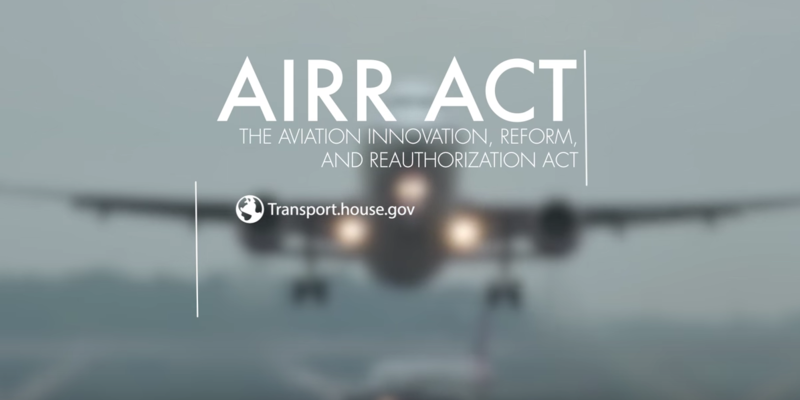 With funding the Federal Aviation Administration (FAA) set to expire March 31, the House Transportation Committee was working to advance an ambitious plan to reauthorize funding and reform the agency with a six-year bill (H.R. 4441). The legislation that passed committee contained a controversial provision to spin off air traffic control services into a private not-for-profit “ATC Corporation” administered by an independent board of directors. That initiative has met with resistance, leading House Leadership to pursue a short-term extension. In the meantime, the Senate is working on a reauthorization bill that does not include the privatization provision. The question of whether the FBI can compel Apple to assist the FBI in accessing the phone of the San Bernardino shooter continues to garner debate in Washington. As Bloomberg notes, "The only question is whether it will be Congress or the U.S. Supreme Court that breaks the impasse." For its part, Congress is stepping up to explore the topic, with a House Judiciary Committee hearing scheduled for March 1, featuring FBI Director James Comey, General Counsel for Apple, and Manhattan District Attorney. The House Energy and Commerce Committee has also invited Apple's CEO and the FBI Director to testify. The House Judiciary committee will vote next month on email privacy bill (H.R. 699) from Rep. Kevin Yoder [R, KS-3], which would update the Electronic Communications Privacy Act, which allows government agents to read emails without a warrant if the emails are at least six months old. 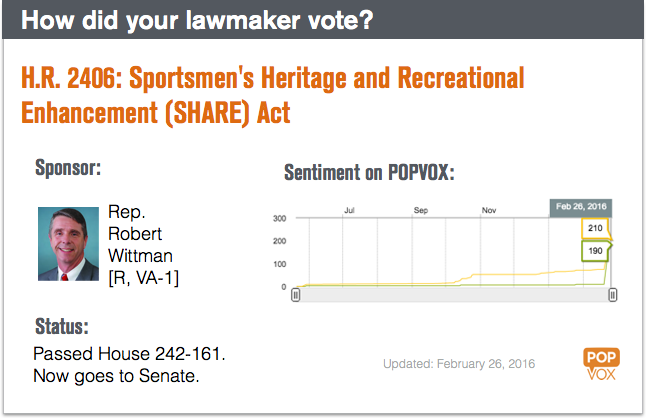 With 310 cosponsors, the bill is the most popular piece of legislation that has yet to receive a vote in the House. In the Senate, Richard Burr and Dianne Feinstein are reportedly working on a bill that would make it a crime for a company to refuse government orders for access to encrypted data. FBI Director James Comey told the House Intelligence Committee that the case would be instructive for other courts seeking to address similar issues in a variety of cases. Reports emerged this week that Apple is working on even stronger encryption technology. The country's opioid epidemic continues to garner attention on the Hill. This week, 5 Senators sent a letter to the FDA calling for opioid risk management strategies. President Obama met with the nation's governors this week and discussed various strategies to combat prescription drug abuse. Several governors suggested a limit on how many painkillers a doctor can prescribe at a single time, but President Obama said a limit can't be implemented without a plan on how to help people in pain. Senate Majority Leader Mitch McConnell said Senate will soon move forward with opioid bill. Senate Judiciary unanimously advanced the legislation, with many Democrats still pushing for more funding. The bill devotes money to addiction programs but does not include actual money (an appropriations bill would be necessary to provide actual funds). Sen. Jeanne Shaheen [D, NH] will propose additional funding through a $600M amendment, providing funds for state and local initiatives on drug treatment, prevention, and enforcement programs, as well as block grants for related state programs. New bipartisan legislation that would allow pharmacists to partially fill opioid prescriptions to reduce the availability of unused drugs. Rep. Gerry Connolly [D, VA-11] introduced a bill that would give federal employees a 5.3% pay raise in 2017. Reps. Levin and Van Hollen plan to introduce corporate tax inversions bill. Sen. Dianne Feinstein [D, CA] introduced a bill that would clarify the level of intent needed to convict someone of using threatening language across state lines. Sen. Claire McCaskill [D, MO] introduced one sentence bill to repeal a law that exempts lawmakers from jury duty, fulfilling a promise she made after live tweeting jury duty last month. Army Chief of Staff called for more soldiers, more funding, and said Russia is #1 threat to U.S. in Senate Appropriations subcommittee hearing. Senate Finance Chairman Orrin Hatch said he will join Ways and Means Chairman Kevin Brady in push for international tax reform. Rep. Charles Rangel [D, NY-13] joined growing list of Members retiring at end of term. Republican Study Committee privately decided to push top House lawmakers to abandon 2015 budget deal and push for steep cuts instead. CNN hosted Dem Town Hall. Here’s the transcript and our related bills tweets. GOP presidential candidates debated. We live tweeted related bills. Obama administration looking to expand sharing of data NSA intercepts, without first applying privacy protections. Senate confirmed Robert Califf to be next FDA Commissioner in 89-4 vote. Congressional Gold Medal Ceremony: House and Senate leaders honored “foot soldiers” of the 1965 voting rights marches. Companies are still being fined for violating the U.S. Cuba Embargo. Senate Commerce set to mark up MOBILE NOW Act next week, which aims to expand the private sector’s access to spectrum and make it easier to deploy broadband services. US and Russia reached agreement to implement a cease-fire in Syria, will take effect Saturday. President Obama sent a letter to Speaker Paul Ryan, requesting emergency supplemental appropriations to address Zika virus. Rep. Kathy Castor [D, FL-14] led a delegation of bipartisan House members on four-day trip to Cuba – lobbying for passage of Cuba Trade Act (H.R. 3238 / S. 1543), bill would lift the Cuba travel and trade embargo imposed 50+ years ago. President Obama released new plan to close Guantánamo Bay prison. Timeline on the back and forth between branches. New report rated U.S. counties and cities by well-being, see how your district or state compared. Findings: More than 50M Americans are living in "economic distress" and wealth and well-being gap is widening further. New report finds that Pfizer will be able to permanently avoid paying $35B in U.S. taxes by merging with Allergan. Abortion clinics are closing at a record pace. New Gallup poll finds four in five Americans view Syria unfavorably – second-worst image of 21 countries, with only North Korea rated worse. Americans are divided on U.S. military’s approach in Syria. Political campaigns are to blame for latest data breach. New from Brookings: earnings gap between poor and rich college-educated kids is huge and grows over course of career. New GAO Report: U.S. refugee agency put Central American kids at risk – no system for tracking kids, incomplete case files, and contractors operated with little oversight. New from Gallup: Most Americans think China is the world’s leading economic power. New from PEW: Most Americans want the Senate to hold hearings and a vote on Obama’s nominee to replace Justice Scalia. Kalamazoo rampage was 42nd mass shooting this year. Virginia Senate committee advanced bill that would allow parents to block their children from reading books in school that contain sexually explicit material. Alabama Senate passed bill that blocks Alabama cities from setting their own minimum wages. Gov. Robert Bentley signed bill into law. West Virginia Senate passed bill that would allow people to carry concealed weapons without a permit. Bills have been introduced in several states to remove the sales tax on all feminine hygiene products. 5 states (MD, MA, MN, NJ, PA) already exempt feminine hygiene products from sales taxes.